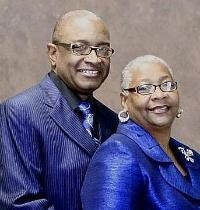 Today, we thank God for our 42nd Church Anniversary. Our hearts should be excited and full of gracious appreciation as we gather for this very auspicious occasion. Only God could take us to this level of Christian maturity where we are able to say. "There is no place like this place, near this place, so this must be the place!" The path that God has brought us over has been an adventure of spiritual heights and depths. Yet, when we look toward heaven, we know that if it had not been for the Lord, we wouldn't know where we would be. Together, we as a people, have proven that God is a provider, protector, and strength that any Church body can truly depend on to reach godly rewards. Our reward is exhibited today as we look upon the faces of the ones present, reminence of the ones gone to Glory, and think of the good things that are ahead for our future generation. We echo the word of the Psalmist in Psalm 63.:3,4 "Because Your Loving-kindness is better than life, My lips shall praise You. Thus I will bless you while I live; I will lift up my hands in Your name." Greater Union, Sister Williams and I want you to know that we are thankful for your love, kindness, and daily work that you give to this body so that we can do God's will effectively. We see your efforts, achievements, and other things that have made you a stronger people. We thank God for being a part of this growth and encourage you to "press toward the mark of the high calling of God which is in Christ Jesus." May the blessings of God be upon all of us as we continue to move toward 2013.